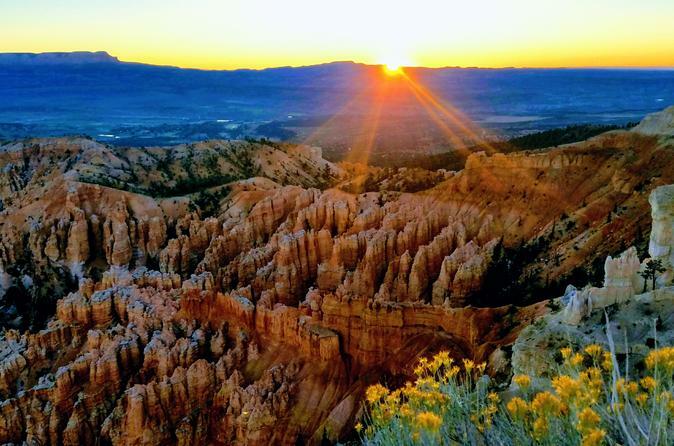 Expert guides who will provide in depth knowledge about Zion and Bryce Canyon history, flora, fauna, geology, etc. Plenty of time to explore famous trails (Angel’s Landing, The Narrows, Emerald Pools, Navajo/Queens Garden Loop). This tour begins and ends in Las Vegas. The pick-up/drop-off location is the North Entrance of the Tropicana Hotel located on the Las Vegas Strip. The trip departs Las Vegas at 7:15am on Day 1 and arrives back in Las Vegas at 6:00pm on Day 3. *All camping equipment and meals are included.